The creative team behind Sherlock have joined forces once again for a Dracula miniseries, according to The Hollywood Reporter. The series, based on Bram Stoker’s 1897 novel, will consist of three feature-length episodes. It will reintroduce the world’s most famous vampire to audiences on BBC One in the U.K., and Netflix everywhere else. “There have always been stories about great evil. What’s special about Dracula is that Bram Stoker gave evil its own hero,” said creators Stephen Moffat and Mark Gatiss in a joint statement. 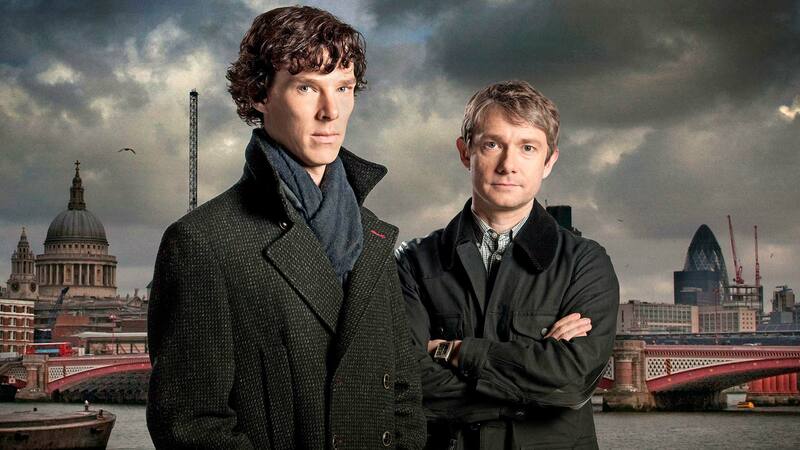 The two previously co-wrote three episodes of Sherlock together, including the finale that aired earlier this year. The pair have also previously collaborated on the BBC’s Doctor Who, with Gatiss penning the script for nine episodes and Moffat serving as the series’ executive producer. Word of their collaboration first circulated back in June of last year, and now it seems that the production is finally starting to come together. “Steven and Mark’s ingenious vision for Dracula is as clever as it is chilling. In their talented hands, the fans will experience the power of Bram Stoker’s creation as if completely anew. We are thrilled to be collaborating with them and the brilliant team at Hartswood on yet another iconic British series,” said Piers Wenger, controller of BBC Drama. Wenger and Director of BBC Content Charlotte Moore Dracula commissioned the series, which is written and created by Moffat and Gatiss. Executive producers are Gatiss, Moffat and Vertue for Hartswood Films, Ben Irving for BBC and will be handled by Tanz for Netflix. BBC Studios Distribution will handle the international distribution.